Quality is an essential part of customer satisfaction and is a daily preoccupation for everyone. Our quality system is adapted and dedicated to the health sectors and complies with Good Manufacturing Practice. Quality System Management includes the control of processes at every stage, from the gathering of customer needs to delivery, including development, process qualification and manufacturing. 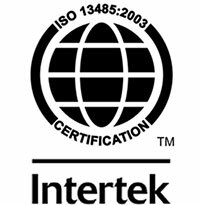 Our quality system is regularly audited and updated to ensure it remains compliant with any changes to ISO 13485 and ISO 14001 standards. The environment is another key priority for us; we consider the impact of our processes and activity on the environment. PureLab Plastics has adopted the “Together for Sustainability” initiative (TfS) . TfS was created in 2011 by leading chemical companies to improve sustainability practices within the supply chain of the members with respect to environmental, compliance and social standards (Corporate and Social Responsibility – CSR). 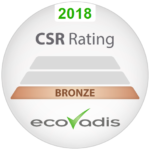 CSR assessment was performed by an independant company, Ecovadis, evaluating environment, social, ethics, and procurement compliance.